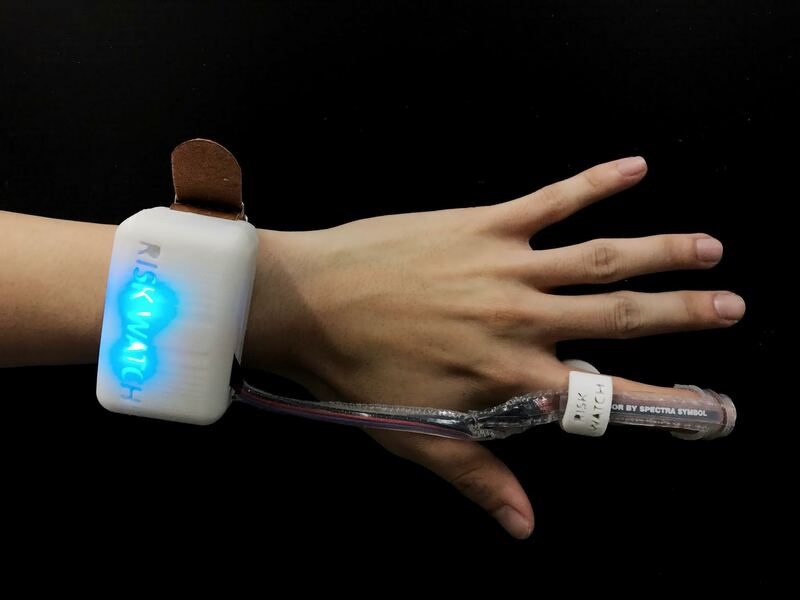 These First-Year SUTD Students Created A Vibrating Ring-Watch So You Don't Fall Asleep Driving! What were you doing in your first year of university? For most, the freshman year is often dubbed the ‘honeymoon year’, because all the modules taken are 101s, newfound friends and seniors can’t wait to welcome you with open arms into their clubs and cliques, and the dread that comes with keeping a decent GPA still isn’t whacking you repeatedly at the back of your head. But it’s not a bad thing, because before the sleepless nights and general fatigue of the latter years, the freshman year usually comes with unbridled enthusiasm about the possibilities that the last lap of formal education can bring. 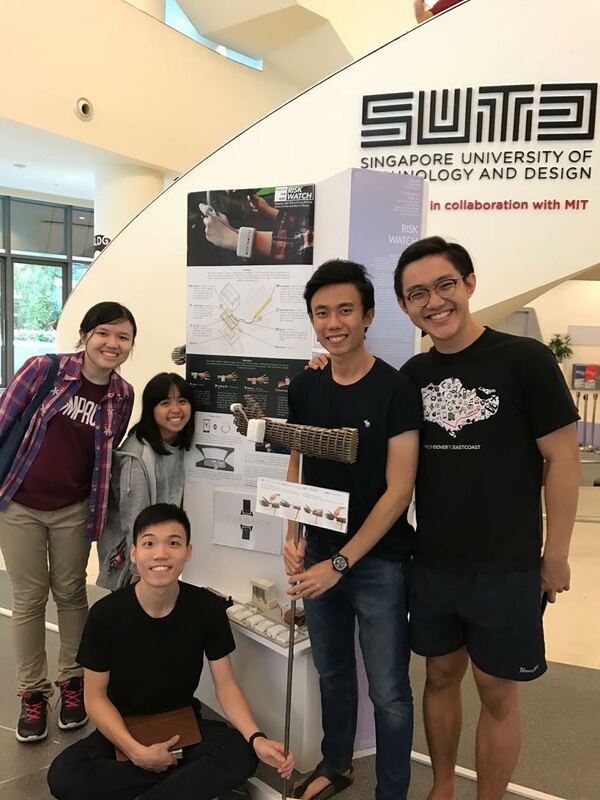 And 5 SUTD (Singapore University of Technology and Design) students have taken that enthusiasm, and turned it into something that could potentially save the lives of many. Needless to say, the idea and team caught our attention for their commitment to solving a pressing problem that has taken many lives, and we decided to find out more. We got in touch with Aiden, one of the team members, and got more insights on the school project that recently caught the attention of the local media, which he confessed, was “quite a surprise”. With an average age just shy of 21, the 5-member team, made up of SUTD ‘freshmore’ (the unique university’s term for undergrads still in their first 3 terms) students Aiden Chia (21), Jason Swee (23), Laura Ong (19), Odelia Tan (20), and Loo Jun Wen (21), met during their Introduction to Design Module. As compared to being brought together by fate (aka grouped together by their professors), the formation of the team was actually rather strategic. Then came the next, and most important step – reaching a mutual agreement on what to work on. Their minds each brimming with ideas after intensive brainstorming sessions, Aiden revealed that they “had many considerations” before settling on a common goal. Eventually, it was the hope of solving problems Aiden and Jun Wen experienced on a personal basis that got the final vote. For Jun Wen, he recalled when his late night patrols during his National Service were ridden with episodes of sleepiness, especially in the early mornings. Aiden echoed the sentiment, albeit not experiencing it first-hand. With the final goal pat down, questions on how it would be achieved soon came about, as the team engaged in many discussions, back-and-forth, to find their answer. 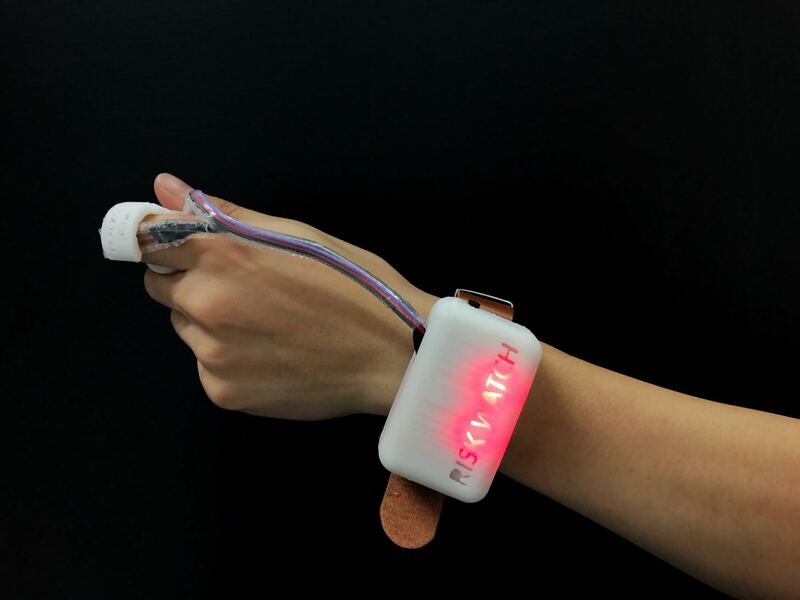 Not ones to dismiss a possibility without first trying it out, they initially wanted to detect sleepiness using an individual’s heart rate on their wrist, explaining that it was “the ‘standard’ model for many existing products like Fitbit, Apple Watch, etc”. However, after purchasing a generic heart rate monitor and testing it, they realised that noise also got picked up by the monitors, thus making the readings inaccurate. They then considered measuring the eye blink rate of the driver, but they too encountered problems – this time with interfacing with the rest of the device’s components. 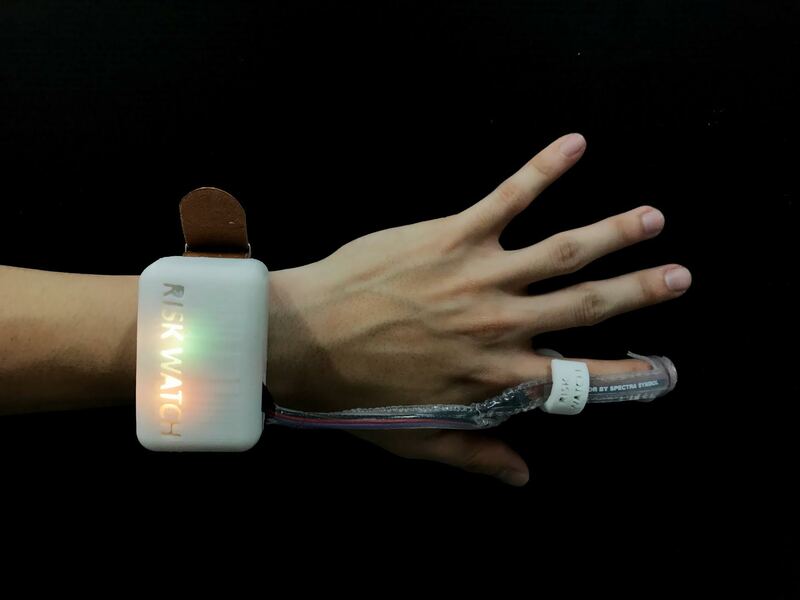 Going back again to using a heart rate monitor, they decided to do a little tweak – by placing it at the finger instead. Eventually, they switched the design into a watch with a ring – one which was eventually fine-tuned to the Risk Watch we know them for. Like every school project, the team too had to undergo a few more challenges before the Watch’s final iteration. From needing to reprint the Watch’s hardware multiple times on 3D-printers when they came out wrongly, to having to test out a large variety of materials to ensure that it would be comfortable for the wearer and yet sturdy enough to hold the Watch’s electrical components, to writing code for its software, the team still held on with a stubborn determination, refusing to compromise on any aspect until the result was satisfactory. 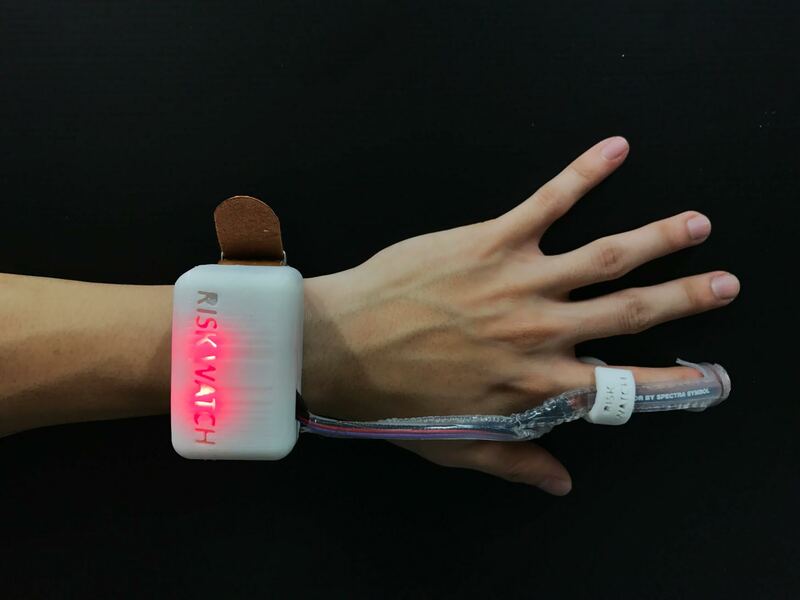 And after 12 weeks of trial, error, and success, the Risk Watch was finally unveiled. Going back to the reason as to why they even got the media’s attention in the first place, the Watch was actually one of 87 other SUTD student projects featured at the university’s The Technological Body exhibition, which involved first-year engineering and architecture students teaming up to create wearable technology. 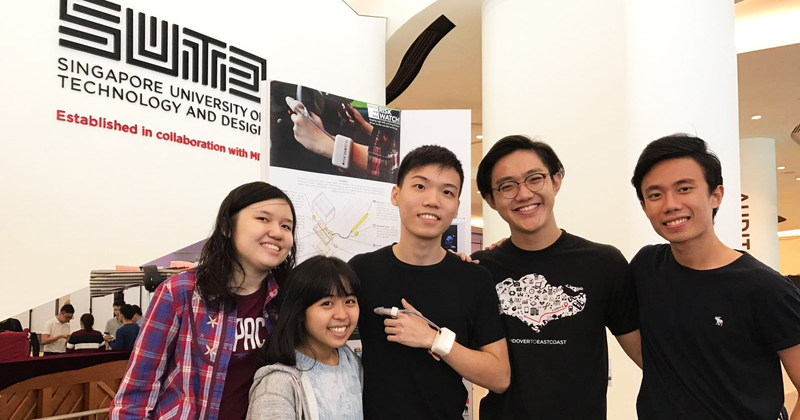 The exhibition would cumulate in SUTD shortlisting 6 projects, and the teams behind them will get to attend a workshop to produce enhanced versions of their prototypes. And their future hopes for the Watch? With them already showing so much promise at the start of their university life, I think we can only imagine to see even more from them in years to come.